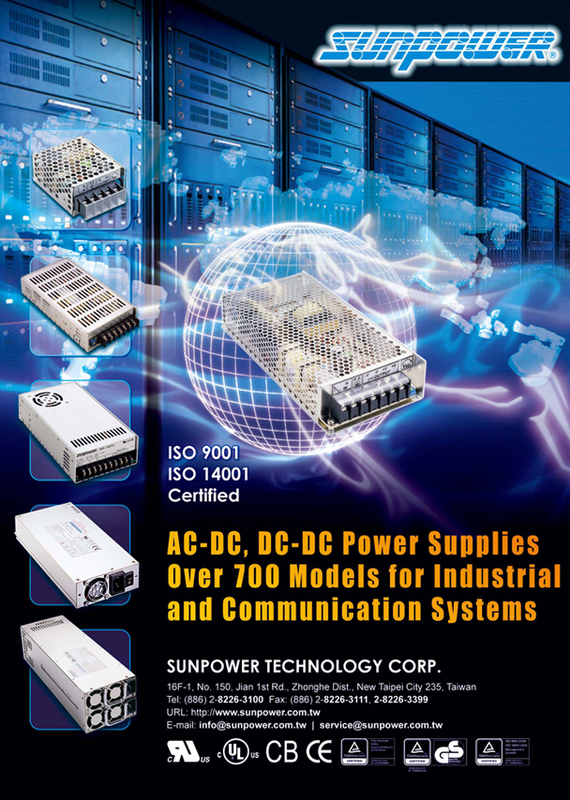 Sunpower was founded in 1987, professional designer and manufacturer of Industrial Power Supplies with ISO-9001 & ISO-1400 certified. Over 600 models from 15 to 1500 watts, single to multi outputs with safety approved. Application : 19” Rock-mount, Network server, personal PC, Communication and Medical field.